In this set, we bring you the traditions of Christmas in Germany. From candlelit trees, a favorite market treat (pretzels!) Christmas stories, and holiday songs that began here long ago… curated with our studio wardrobe, all you have to do is SHOW UP! We are the #1 luxury studio in the area, and for good reason! We are here to serve our clients and one of the best ways to do so is to make it as EASY as possible for you! 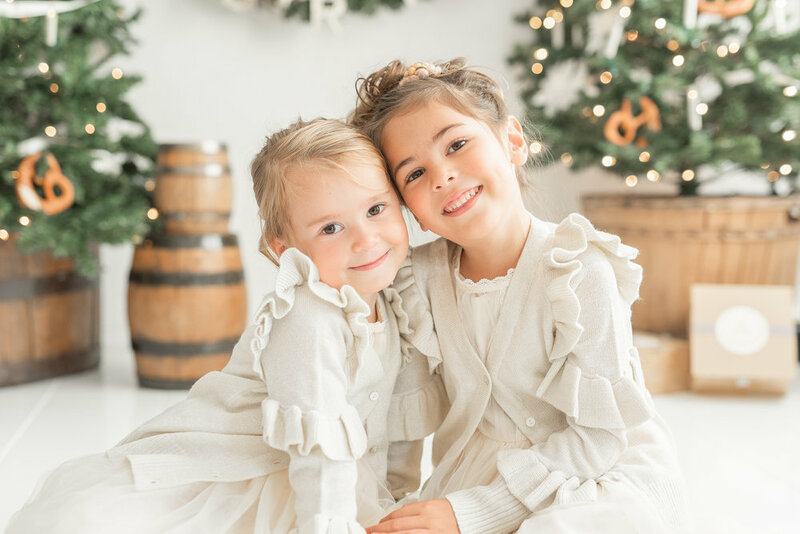 Not only do we provide you a beautiful backdrop for your holiday portraits, but have also taken the time to create a perfectly curated family wardrobe for everyone in the family. It’s already as stressful as it is, to get the kiddos together ( and dad! ). Take it from me, a mama to 4, that this alone is the BEST ! WHEN YOU ARRIVE we have assistants ready to help you and wrangle all the littles so that you can have a smooth session. You and dad are not alone! We work together to get those smiles and have a goody at the end for the littles!